William Webster is the founder and director of Christian Resources, a teaching and publishing ministry dealing with issues related to the Gospel, Roman Catholicism, Orthodoxy, church history and the Christian life. He is the author of three books with Banner of Truth. In addition to writing and publishing, Mr. Webster is also the pastor of Grace Bible Church in Battle Ground, Washington. A former Roman Catholic, he is careful to treat all subjects and faith traditions in a sensitive, respectful and straight-forward manner. 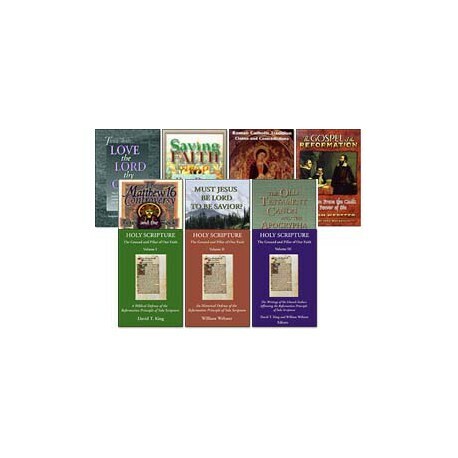 This collection is for anyone looking for scrupulously-researched documentation drawn from early church and Roman Catholic theological writings, and given thoroughly up-to-date context and analysis. Click any title below for a complete description. A clear documentation of where the Roman Catholic Church stands on the issue of salvation by faith. By William Webster. Our Christian life can be summed up as: To know God and His will. But what does this really mean? The answer can be found in God's Word. By William Webster. An examination of the controversy surrounding Lordship-salvation in light of the teaching of Jesus Christ and that of eminent evangelical theologians from the past and present. By William Webster. This collection comes on one disc and is available for download right now.